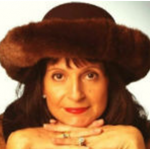 Interview by author, Cathy Rubin. 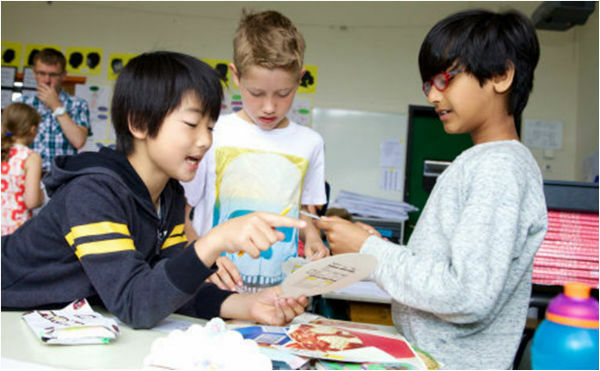 In an inter-connected global world, every child should have the opportunity for a high quality international education. Current and future generations will be better prepared if they are “world citizens” that are able to study, live and work internationally. The International Baccalaureate (a global organization offering the IB Diploma in 146 countries) offers four globally respected programs of international education that give students, among other things, the perspectives of other cultures, societies and countries. To earn an IB diploma, students must take six interdisciplinary courses, write a research paper, and complete community service. George Rupp was recently appointed as the Chair of the IB board of governors. He has served as Dean of Harvard Divinity School and as President of Rice University, Columbia University, and the International Rescue Committee. In The Global Search for Education interview that follows, Rupp shares his insights into the future of education and the ways in which he has helped to foster inclusivity and diversity in higher education in the US and abroad. He also gives a preview of some of the recommendations he offers in his forthcoming book, Beyond Individualism: The Challenge of Inclusive Communities (CU Press), such as his “firm conviction that to enhance sound institutions so that they become even better requires building on the core strengths at the heart of the institution’s identity – not to attempt to construct a new or different institution and certainly not to imitate some other institution.” For the IB, this means Rupp will work towards fostering multicultural competence and building more relations with under represented regions of the world. In this article, George offers an incisive breakdown of what contemporary global education needs most. How can you bring what you learned from the IRC (International Rescue Committee) to the world of secondary education? The International Rescue Committee works in dozens of countries around the world to aid individuals and communities uprooted by conflict or natural disaster and also has offices in 22 cities across the U.S. to help resettle refugees here. The IRC therefore demonstrates every day through its programs both in this country and across the developing world just how crucial education is for recovery from displacement and conflict. To initiate and sustain sound educational programs is one of the critical contributions to rebuilding lives that have been disrupted, just as it is indispensable to the flourishing of all communities. The International Baccalaureate offers this resource to young people worldwide. While the IB has developed its core programmes in the developed world, it also has increasing reach in developing countries, where its role can and should be even more critical in the years ahead. My experience at the IRC accentuates just how central education is for individuals who seek to move forward, whether in the developed or the developing world. You helped make Columbia University more socially and economically diverse. What degree of importance do you place on making education more inclusive and global? At Columbia, I placed a very high priority on improving the relations of the university to New York City as a whole and in particular to our neighboring communities of Morningside Heights, Harlem, and Washington Heights. I also welcomed the opportunity for the university to build further on its historic reputation as a global institution. Columbia’s traditional strength as an educational resource for first-generation college students embodies this double priority as both a local and a global focus. 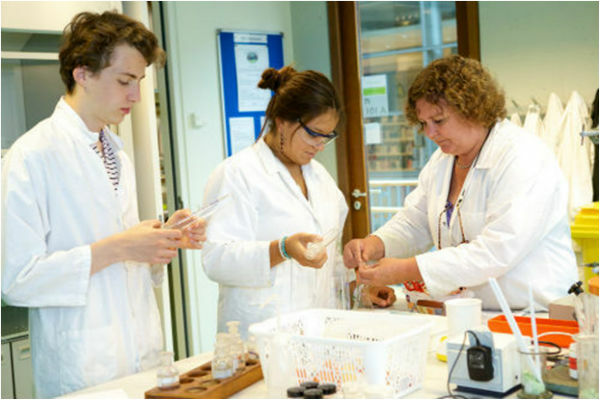 The International Baccalaureate similarly embodies a curriculum that is by intention both inclusive and global. Like all institutions, the IB has its roots in particular traditions, including specific languages. The challenge is to grow from those quite specific roots to become even more inclusive and global. What are the key ways education has changed since you left Columbia in 2002? Education has certainly become more global in the intervening dozen years. Whereas Columbia had the advantage of already being an institution with a high international profile, substantial numbers of other institutions on all continents have also become more self-consciously global. So, too, have students around the world. 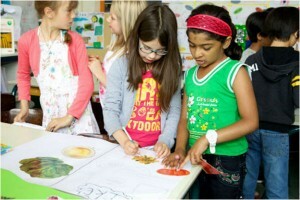 The International Baccalaureate has the great strength of international reach from its inception. The challenge will be to continue to exercise leadership in this arena. Education has also in many institutions become more focused on practical outcomes or career training. While this focus can all too easily serve to undermine the rigors of more classical educational aims, it need not be detrimental to educational attainment. 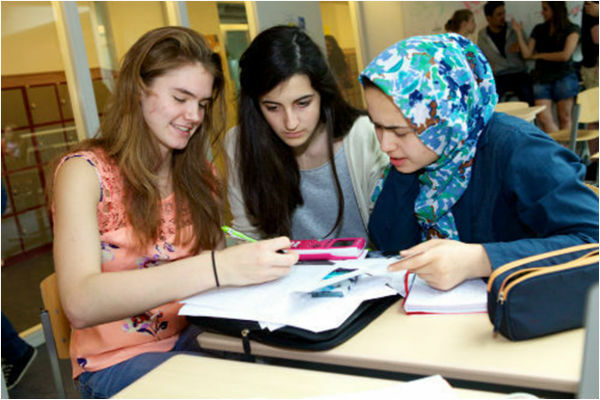 In a sense, the IB’s programs express the effort to nurture both ambitions: the Diploma Programme along with its pre-secondary school counterparts embody the rigors of classical education, including the arts and sciences and mathematics, languages, and independent writing projects; at the same time the IB has developed a career programme for students focused on more immediate employment. You do a lot of work to think through the issues of fundamentalism and secularism, such as in your book, Globalization Challenged: Conviction, Conflict, Community. How can the IB work to bring together sectarian religious groups with secular thinkers? I cannot resist calling attention to a book I have just finished that Columbia University Press will publish this fall, Beyond Individualism: The Challenge of Inclusive Communities. Both of these books focus attention on the imperative that we develop inclusive communities – communities that value particular traditions even as they embrace the participation of adherents from multiple traditions. Education is indispensable to meeting this challenge, and the International Baccalaureate has impressive resources that it is dedicating to the task. The IB is at its core committed to cross-cultural understanding. Its insistence that every graduate be competent in at least two languages is an indicator of this commitment. So too is its emphasis on developing individual values and engaging in service to communities. Working to bring together students and faculty who come from different religious traditions and a range of secular perspectives is completely consistent with the institutional values of the IB. In what directions are you hoping to take the IB? As I argue at length in my forthcoming book, Beyond Individualism, my firm conviction is that to enhance sound institutions so that they become even better requires building on the core strengths at the heart of the institution’s identity – not to attempt to construct a new or different institution and certainly not to imitate some other institution. I therefore hope for and expect an IB that will be even more itself, a stronger version of what it is at its foundation. The IB will continue to provide global leadership for primary and secondary education in the arts and sciences (including mathematics and writing that is both original and compelling). We will also stress multi-cultural competence – not only at least two languages but also an understanding of multiple traditions on their own terms. The IB should also continue to stress the importance of developing personal values and participating in community service. In this process of building on the IB’s existing and firm foundation, the current trajectory of growth and extension to new countries and regions can and should continue. In particular, I hope that the IB will attain greater presence in such currently underrepresented regions as Africa. But this further building will be based on the very solid structure already in place. Do you believe the IB has the capacity to become an international core curriculum? What steps will need to be taken to achieve this? While I am convinced that the IB can and should continue to become more inclusive in its curriculum, I do not think it can or should try to develop a single core curriculum that serves all schools and students world-wide. Academically rigorous grounding in core disciplines will continue to be the hallmark of the IB. But that core will be complemented with learning based on local and regional traditions. What are the most significant ways that a globally minded perspective, such as the kind IB provides, can benefit students? Education that is academically rigorous, deliberately multi-cultural, and concerned with developing personal values that include a commitment to community service is an invaluable resource for any and all of us. For students to complete their secondary education with such educational attainments is a significant benefit for them both personally and socially. That the IB Diploma Programme is recognized internationally as a mark of academic distinction opens doors worldwide as graduates appraise alternative courses of action. The IB is proud to contribute to the continuing development of such impressive human capacity. We look forward to providing this enormous benefit to increasing numbers of students in thousands of schools around the world. Cathy Rubin is the author of two widely read online series for which she received a 2011 Upton Sinclair award, “The Global Search for Education” and “How Will We Read?” She is also the author of three bestselling books, including The Real Alice in Wonderland, is the publisher of CMRubinWorld, and is a Disruptor Foundation Fellow.